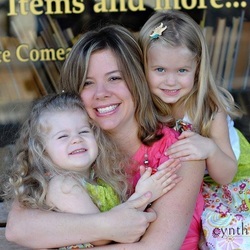 I have worked with children and families from birth through 12th grade for over 13 years and am a mother of three myself. I earned my BA in Elementary Education and Spanish and my M.Ed. in Early Childhood Education from Florida Atlantic University. My love of coaching came from my experience working with families through the Florida Department of Children and Families and working with children with special needs and their families through UCP of Central Florida. I currently hold a Florida professional teaching certificate. I am also currently a certified Infant Swimming Resource Instructor. I teach survival swimming lessons to children 6 months to 6 years old. I am also trained as a Gentle Sleep Coach through Kim West, LCWS-C-The Sleep Lady. This experience in addition to my past years of being a nanny confirm that I have a special gift for working with infants, toddlers and preschoolers. I have loved babies since I was a little girl. After being asked for advice from many friends and family members regarding parenting and sleep, I have decided that I would like to take my coaching to the next level and start working with families in my local community and surrounding areas. My goal is to help your child develop consistent good sleeping habits. I realize how vital healthy sleeping habits are for the well being of the entire family. I will walk beside you and your child, during these challenging times, to help you find a solution that will meet your family’s individual needs. Dr. Lewis Kass, MD, FAAP - certified pediatric pulmonologist and sleep medicine specialist specializing in pediatric respiratory medicine and sleep disorders. Dr. Brian Vartabedian, MD, FAAP – author of Colic Solved: The Essential Guide to Infant Reflux and the Care of Your Crying, Difficult-to-Soothe Baby. I continue my ongoing education and training with clinical supervision from Kim West, LCSW-C and each year I attend continuing education hours on topics related to child and family health and wellness. 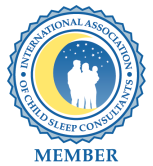 I am also a member of the International Association of Child Sleep Consultants.